Decant or Naw?, Fix-It With Fran: All Things Faith, Family, Food, Fun and more! This blog will be the first in a series of decanter reviews that I’ll be completing for the Bella Vino brand. I’ve already shared my thoughts on some of their wine glasses via my various social media sites and I’ve been given three different decanters to review and share with you all. (Yayyyyy!) We may even wrap up this series with a giveaway if the brand approves, so be on the lookout for an update!!! By being corked and stored, wines are typically left without any exposure to air for an significant period of time until the bottles are opened. As a result, wine needs to be exposed to the air in order to draw out its full aroma and flavor. There are two commonly known methods of preparing a newly opened bottle of wine: Using an aerator or using a decanter. Aerator: A wine aerator is a rapid approach to preparing wine for drinking, by adding oxygen into the liquid to improve the taste. Decanter: Decanting performs a somewhat similar act, but the main purpose is to remove the sediment from older wines. If wine isn’t your thing, this may still be worth reading since crystal is always one of my go to wedding gifts– It’s hard to go wrong with a quality dish or stemware. 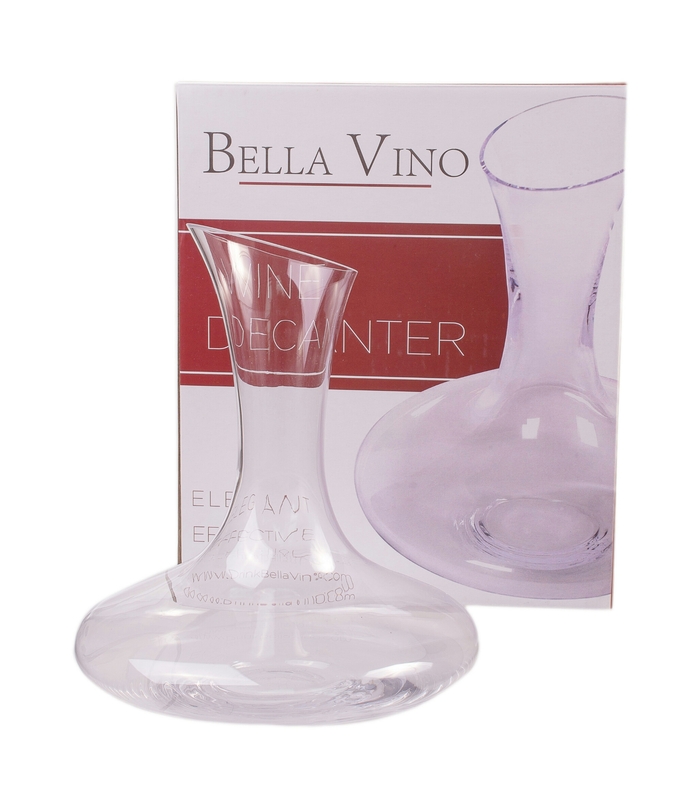 ELEGANT DESIGN: This elegantly designed crystal glass wine decanter makes for a perfect center piece! With its simple yet beautiful design, it’ll wow your guests and be a stylish addition to your dinner table. IMPROVES TASTE: Has a wide base that helps softens tannins in your wine. This provides for a smoother, richer, wine taste and texture that you are sure to love. SPILL-PROOF SPOUT: This wine decanter has a carefully designed spout for a nice, no-mess pour. With its light and easy pour feature, you can pour your wine smoothly and easily. MADE FROM PREMIUM MATERIALS: Enjoy your wine and stay healthy as this wine decanter is made from 100% lead-free, premium materials. LIGHTWEIGHT AND STURDY: Made from transparent, thick, and durable crystal glass yet light and easy to use. This wine decanter doesn’t chip or break easily so it’s ideal for dishwasher use. I love the classic look of this decanter. I do wish that it had come with a lid or stopper of some sort to use to store your wine if it’s not finished in one sitting (not a common occurrence in New Orleans, but it happens). If you were to use a decanter like this, you would want to be sure to keep the original wine bottle to use to return the wine to for storage. This back and forth could be slightly annoying, especially given that it could have been avoided with a better product design, so I deducted one star from my Amazon.com review as a result. Below are images of two of my upcoming reviews. I will also be reviewing some additional wine glasses and sharing my thoughts. Would you all be interested in a giveaway? Please let me know in the comments. Thanks for stopping by!